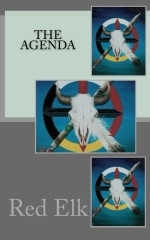 Red Elk’s correspondence with another individual has been put together in this book: The Agenda. It is on sale now for $22.00 plus shipping. Posted on 11 April '13 by Living Documents, under Uncategorized. 2 Comments. As my Small Abode “love” (less to heat / etc.) next comes home safety: FENCING. The ancients protected home / small villages and crops in various Fencing ways….in some areas they still do. I’m not talking cyclops or boards..I’m talking NATURAL. Like PRICKER type plants. Black Berries…Devil Club / Etc…..Bush to Low tree types. Today, add ROLLS of BARB WIRE and PLANTS, COMBINED. If bears / cougar and deer wont go through it….FEW HUMANS WILL! Think on this…the ADVANTAGES of this NATURAL protection. Barb Wire BASED ON these Natural Plants. COMBINE THEM! Understand TOO, this protection WILL house FOOD for you : RABBITS / BIRDS / MICE and BERRIES..AND TOO : MEDICINES! Think on what I write here. Know too,…..even TENTS are protected. Posted on 11 April '13 by Living Documents, under survival skills. 1 Comment. This is in regarding to our FED, AND STATE GOV.s. Posted on 4 April '13 by Living Documents, under prophecy, Red Elk Speaks. 2 Comments. It is NOT their fault. I TRY TO DO FOR MYSELF so they can “have a life”. Aho? They actuary DO do a lot. I’m thankful for them. PTL! Another book out. “The Agenda” . written years ago and lost when my server messed up my blog. (STILL trying to get all back…thanks to Heather / + ). Anyway, still alive and KICKING…though a real day-to-day challenge. THANK YOU ALL FOR ALL YOUR PRAYERS AND SUPPORT. 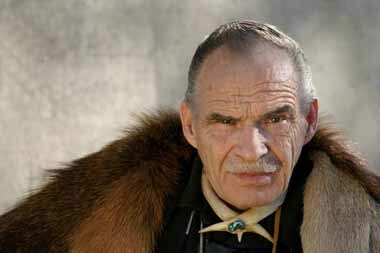 Posted on 3 April '13 by Living Documents, under Family, Red Elk Speaks, survival skills. 1 Comment.